Pressure Systems Casebook contains a collection of papers drawn from two IMechE seminars that will be of particular interest to students and engineers who want to broaden their knowledge and learn from experience and history. The authors' backgrounds cover a range of perspectives, from representing industrial users of pressure systems to regulators, research, and engineering consultants. Pressure systems contain stored energy and the threat of damaging failure is ever present. Failures of pressure systems still occur and are costly to those affected; yet the main causes, consequences, and methods of investigation are not widely known. Pre-existing defects are a major cause of failures and near-failures in pressure systems, yet many can be avoided by greater awareness of the circumstances in which they arise. 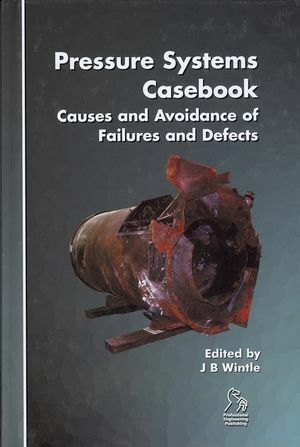 John Wintle is the editor of Pressure Systems Casebook: Causes and Avoidance of Failures and Defects, published by Wiley.